Experience Lake Powell like a rock star in one of our state-of-the-art helicopters specially designed for sightseeing. See the majesty and beauty of Lake Powell and its surroundings from the comfort of a climate-controlled airplane, complete with multi-language in-flight narration. Enjoy the thrill of a helicopter landing approximately 1,000 feet above the ground! Isolated in the desert is Tower Butte: a skyscraper built by nature. It offers 360-degree view of the amazing desert landscape as well as Lake Powell. Get your camera ready to capture the serene beauty of Lake Powell, the engineering marvel of Glen Canyon Dam, and the curious curve of Horseshoe Bend with this one-of-a-kind helicopter tour. Experience a thrilling landing atop Tower Butte combined with the views above Horseshoe Bend. 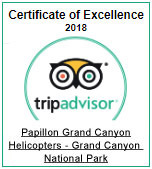 This tour includes a thrilling helicopter flight to the summit of Tower Butte for 360-degree views of the surrounding desert scenery and Lake Powell, past Horseshoe Bend with stunning views and photo opportunities and the highlight of this adventure known around the world Antelope Canyon . 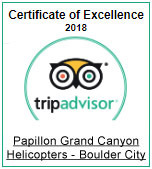 This tour treats passengers to aerial sights of Lake Powell, not to mention a breathtaking view of Rainbow Bridge - a colossal, gravity-defying natural stone arch. On this flight from Arizona, passengers will fly over stunning parts of Lake Powell's incredible 2,000 miles of shoreline. Guests also get an aerial view of Horseshoe Bend, a famously unusual curve in the Colorado River. Visitors in Page, Arizona now have the option to tour Antelope Canyon paired with a scenic airplane tour above Horseshoe Bend. Upon lift-off, discover the expanse of Lake Powell's glittering waters and its sprawling 2000-mile coastline, soar over world famous Horseshoe Bend, then explore the hidden beauty of Antelope Canyon. 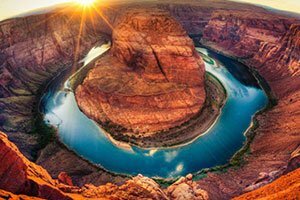 Most travelers and tourists around the world likely don't know of the city of Page, Arizona, but chances are the incredible natural landforms surrounding the town can be easily recognized worldwide. 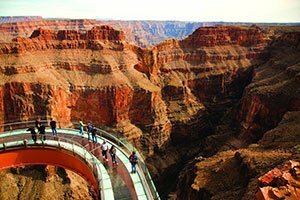 Sightseers visiting Page can explore the incredible depths of Antelope Canyon and the Colorado River's famous Horseshoe Bend, as well as Tower Butte and Rainbow Bridge - two impressive and massive desert rock formations. 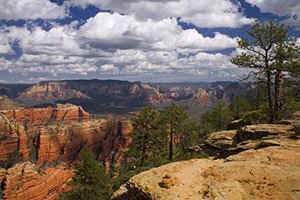 Tours to these remarkable locations can include airplane flights, helicopter landings, and plenty of ground exploration on foot. Antelope Canyon is without doubt one of the most sought-after and high-demand tourist destinations in the area, perhaps in the entire American Southwest. This ancient slot canyon is practically invisible from the outside, but upon entering its discreet opening in the desert stone, a deep winding corridor will lead you through several large sandstone "rooms" with soft sandy floors. The walls of this slot canyon have been smoothed and rippled by thousands of years of water and wind erosion. The undulation of the walls is what causes the world-famous light shafts to filter through to the bottom of the canyon. Catching a glimpse of these sun beams is a photographer dream - in fact, they are the subject of the most expensive photo ever sold. The once-in-a-lifetime opportunity to visit Antelope Canyon isn't limited to visitors to Page - our Las Vegas terminal offers daily tours! Horseshoe Bend is a near-perfect circular canyon carved into the Earth by the Colorado River. Its barrier-free rim allows visitors to walk straight up to the edge and gaze down at the crystal blue-green water below. Another favorite for photographers and sightseers alike, Horseshoe Bend often draws large crowds - and rightfully so. Another fantastic way to see Horseshoe Bend (while avoiding the crowds) is from the sky on an airplane tour. The aerial view is simply unmatched to the view on the ground! Airplane tours over Horseshoe Bend are not just possible from Page, but are also offered out of Las Vegas daily. Tower Butte is a massive, naturally-shaped pillar emerging from the earth. 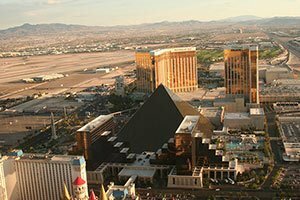 Isolated amidst a desert landscape, it is twice the size of the world's largest skyscraper. Our state-of-the-art helicopters will fly you the daunting 1,605 meters upward and land right on the top! The 360-degree view of the desert from almost a mile in the air is beyond comparison. Perhaps the crown jewel of the Lake Powell landscape is Rainbow Bridge, an astonishing naturally-formed stone bridge arcing over the long-extinct river that sculpted it. Our sightseeing airplanes will fly you over this breathtaking landmark, offering each passenger the perfect view. 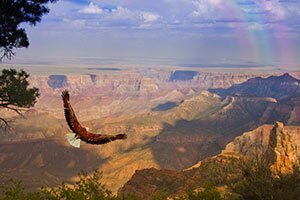 Your trip to Page can easily include a journey through the mysterious depths of Antelope Canyon, a thrilling landing atop Tower Butte, a scenic flight over Horseshoe Bend, or fantastical aerial sights of Rainbow Bridge. We look forward to showing you some of the most breathtaking destinations in the American Desert Southwest.